This is not the only change, the counter service at the CAA's Gatwick office will now offer a new Fast Track appointment service starting on the 11 of December replacing the current same day counter service. The New fast track appointment service will allow licence holders to plan ahead and book appointments up to one month in advance, subject to availability. The latest you can book a next day appointment is 15:00 on the day prior to your appointment. How to book an appointment and how much does it cost? Appointments can be made by telephone from the 27th of November 2017. Lines are open from 08:30 - 16:30 GMT Monday to Friday. When the new service is launched, licence holders who require a same day service or who have a checking service requirement must book an appointment. If you visit CAA's aviation house at Gatwick without an appointment you may be able to secure an appointment subject to availability and agreement to pay the increased fee. Please note if you are making an application on the basis of an ICAO licence, you will need to make an application for a Third Country Verification (application form SRG2142) and the UK CAA will need to have received the Verification before we can process your counter application. Should any pilot have an urgent requirement to add a rating to their licence during this period please use a TLC (temporary licence certificate) to maintain validity. Applications must be submitted via the new channels at the earliest opportunity. 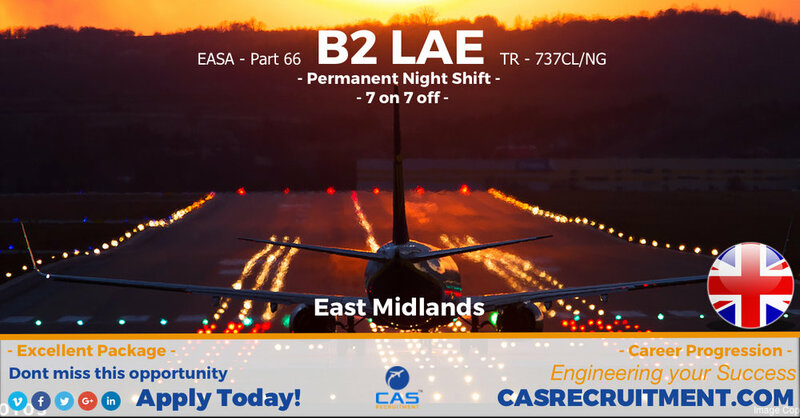 We hope you found this information useful, if you would like to keep up to speed with the latest aviation jobs & industry news follow CAS Recruitment Linkedln page. CAS Recruitment are passionate about helping our clients achieve their goals, We believe it's about more than just recruitment. It's about your business, your brand and your customer's experience. Who you hire matters, they are your future brand ambassadors. Older PostAlitalia Italy's national flag carrier requests to enter Bankruptcy.